Day one has concluded, and two players have already made the quarterfinals. Two players have moved to within one match of the Hearthstone World Championship after a tough first day of matches. Wu “XiaoT” Juwei and Facundo “Nalguidan” Pruzzo claimed the top spot in Group A and B respectively with a pair of wins over the other players in their groups. That 2-0 record puts them straight into the quarterfinals, which will be played on Sunday. Because China’s Hearthstone scene is separate from the rest of the HCT program, it’s hard to know what to expect from the players who make it to these international events. But XiaoT’s lineup choice grabbed attention straight away—much to the delight of caster Simon “Sottle” Welch, XiaoT had brought Spiteful Druid. The deck fell a little out of favor when Spiteful Summoner was nerfed, but in competitive play its match-ups remain the same. That Druid served XiaoT well on day one. Although it lost to Shuhei “Tansoku” Omura’s Even Warlock in the group opener, it was able to take down Tansoku’s Taunt Druid. With his Rogue banned, it was XiaoT’s Even Warlock and Recruit Hunter that got the job done. In the winner’s match XiaoT swept Torbin “Viper” Wahl 3-0, beating Viper’s Mage deck every time. For Nalguidan, he had to face off against the Chinese player in his group first. Li “YuYi” Daixiong proved to be little challenge for the Argentinian. 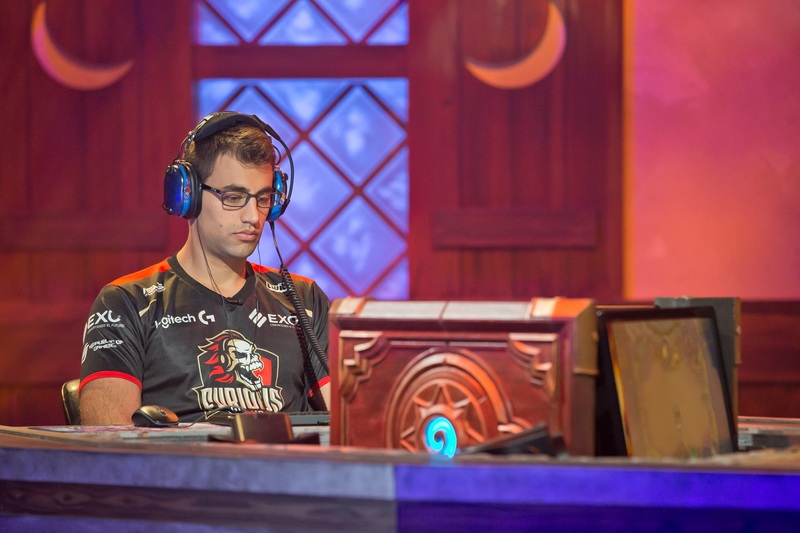 He overcame an early loss to Rogue to put three game wins together in a row. With his Rogue banned in both matches the result was the same too, as Nalguidan passed Wu “BloodTrail” Zong-Chang to win the group. Today, attention shifts to Groups C and D—and most eyes will be on David “Dog” Caero in Group C. He opens up his campaign against Marco “Turna” Castiglioni of Italy. The games get underway at 10:30am CT.